Thank you very much for agreeing to review for us. Please be in touch with any questions or concerns, and keep in mind the deadline for submitting the review. It is important to all of us, as readers and as authors, that reviews appear in a timely fashion. If events intervene, please let us know when we can expect the review. Microsoft Word is preferred, but we will accept reviews using another word processing program for PC or Macintosh. Please submit your book review to bookreviews@bcstudies.com. If you are unable to send your review by email please contact us at 604.822.3727. Describe clearly and concisely the nature, scope, and argument of the book, locate it in the relevant literature, and indicate its contribution to scholarship. Your review should not consist entirely of a summary of the book’s contents. Discuss the extent to which the book achieves its stated objectives, draws on relevant source material, and is well organized and well written. Please bear in mind that the authors of many of the books we review are not writing only about British Columbia and may have intended a wider, or simply a different, audience. 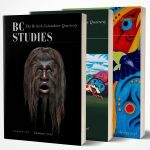 We are particularly interested in the value of the book to British Columbia and the extent to which it may interest readers of BC Studies. It is always permissible to write a shorter review than is suggested, but do not undertake a (substantially) longer review without checking with the editors. In the extreme case, please let us know if, after reading a book, you believe that it does not merit a review. Please consult the Canadian Oxford Dictionary (Second Edition, 2004) to confirm correct spellings. If the dictionary recognizes alternative spellings, the first one listed is preferred. For detailed explanation of text and footnote style, consult CMS (The Chicago Manual of Style, 16th Edition or online version, Notes and Bibliography) or its summarized version: Kate Turabian, Manual for Writers of Term Papers and Theses (newest edition). When quoting from the book under review, please cite the page number. It should appear in parentheses at the end of the sentence, before the period but outside the quotation marks, hence (95). Dr. Newcombe was “exhausted and seasick” (95). We do not use p. or pp. Harris, Cole. 2002. Making Native Space: Colonialism, Resistance and Reserves in British Columbia. Vancouver: UBC Press. Ostrom, Elinor. 2008. “The Challenge of Common Pool Resources.” Environment 50 (4):8–21. Do not use footnotes, except in review essays. Include the first name (or initials for those, like W.A.C. Bennett, who are known that way) in the first reference to any person you mention. You may use personal pronouns rather than “the reviewer.” In general, it is preferable to refer to the author by name rather than as “the author.” In referring to the author or other people, do not use titles, either professional or social. For dashes within sentences: double hyphens with a space on both sides (–). Or use an en-dash ( – ) with a space on both sides. Insert a comma before the last item in a series, hence Victoria, Duncan, and Nanaimo. Do not use periods in abbreviations, thus UBC, HBC, CBC. Spell out numbers less than 100 unless being used comparatively in a sentence or paragraph, hence ninety-five years; 127 voters; grades 6, 8, and 10. Capitalize national, linguistic, and other groupings of people: Asian, Italian, Caucasian, Indo-European, First Nations, Aboriginal, Kwakwaka’wakw, Kwak’wala, Tsilhqot’in, Nuu-chah-nulth. White and black are not capitalized. Capitalize specific geographical areas, thus the Interior, the Coast, the Island (for Vancouver Island), the Lower Mainland, the Prairies, the North.